I've been following Yesterdays on social media platforms for a while and I've been waiting for a new release very bad. The band went through many changes since their second release, Colours Caffé. For me, this third studio album feels like the band has found its voice (usually 3rd albums are like that). Who loved their debut, Moonlit Garden, this album is on that musical path, but with a much bigger sound. The style. Symphonic progressive rock at its best. The sound. Definitely the most dynamic record I've ever heard. The band is proud of their own mastering work and they really should be. Airy sounds, big differences between loud and quiet parts. This music really breathes, all the little nuances are noticeable and enjoyable. So, you'll have a real audiophile experience with this music. The concept. The band took some ancient Hungarian traditional folk songs from their rich heritage (just like Bartók did in the first half of the 20th century) and they took those melodies and texts for a great ride. This time the band went independent from record companies, they did everything themselves: writing, recording, producing, mixing, mastering, cover editing, video filming. Quite impressive work. The music. What we've loved in Yesterdays music is all over this record: lush mellotron waves, minimoog virtuoso solos, STEVE HOWE-inspired complex guitar work, flute extravaganza, multiple voices inspired by GENTLE GIANT, YES and the most powerful part: the beautiful female vocals of Stephanie Semeniuc. I must point out the most beautiful/natural drum sound I've heard in the last decade. "Agrol-agra" starts off the album with YES-like prog extravaganza, moog, mellotron and poweful bass playing. CHRIS SQUIRE would be proud of these distorted bass lines.. fretted and fretless bass sounds are changing through this song. The stereo panning of Stephanie's voice is simply amazing! "Rejtsetek el" Tricky time signature of 5/8. Acoustic guitar and flute, later chello... it reminded me of AFTER CRYING, but only for a minute.. when the chorus kicks in, it's a different world with JON ANDERSON-like la-la-la's in Siberian Khatru. "Szivarvany havasan" is like YES' AND YOU AND I's short version with female vocals. YES influences all over. Haunting acoustic guitar works by A�kos and lovely female vocals. At this point I must admit that I fell in love with Stephanie's vocals. "Elmehetsz" starts with 12strings guitar and steel guitar... SOON came to my mind. Piano and mellotron parts keep the vocal's company and later the flute solo reminded me of PINK FLOYD's BREATHE... the final chorus has a female choir in it. Breathtakingly beautiful. One of the highlights of this album. "Ne mondd el" shows the darker side/mood of Hungarian folk music. World music influences with fretless bass and lots of percussion. A string quartet enters in the second verse. And the middle part... KING CRIMSON all over, drum solo with spoken word, taurus bass, fretless bass, mellotrons, atonal passages... and everything clears up for the final verse. Szirtes Edina Mókus takes the lead vocals in this song, she's a well known Hungarian world musician, violin player, vocalist, session musician, known for her work with SOLARIS, MAKÁ�M, KOLINDA. Lovely choice for this song (and also on the final song of this record). "Hajnalcsillag" takes back the positive mood with a nice symphonic prog intro and starting with the first verse it builds up nicely. PAT METHENY style guitar solo follows the vocals (they did something similar on their debut album's HOL VAGY). The ending is very powerful, imagine three choirs who sing different songs, but everything gets together in a big CHOIR harmony. Again, tasty mellotron use all over. I love this song. Haunting melodies sung by another guest singer, Tarsoly Csenge. Her voice reminded me of another Hungarian band YOU AND I. 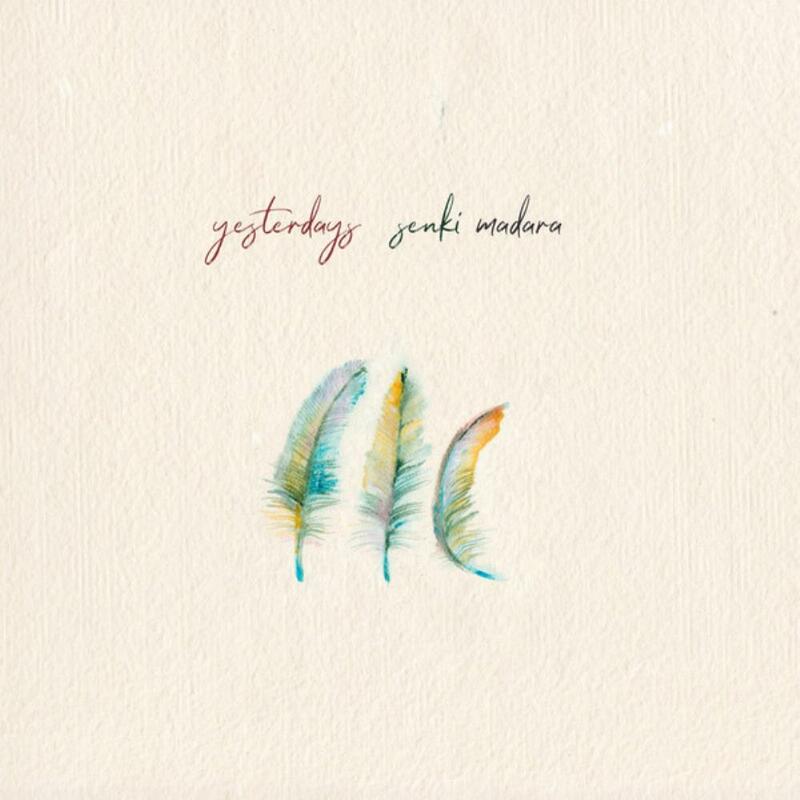 "Szomjú madarak" Well, this song reminded me of EAST, another great Hungarian band, but with flutes and much more acoustic guitars. One of the album's longest songs. Amazing moog melodies, solos, again, some PAT METHENY and jazz influences, with JACO PASTORIUS / JONAS REINGOLD style fretless bass... Again, Stephanie's multiple vocal harmonies take this song to the next level. One of the highlights of the album! "Eső" is a small prelude-type of song, this time with GENESIS' DUKE sound thanks to the Yamaha CP piano sound. TREVOR RABIN style slide guitar playing and a moog solo which gave me goosebumps... the solo could be part of JON ANDERSON's OLIAS for shure. "Nap" is the most progressive song, with a proper intro buildup with flutes, gongs and fretless bass. Stephanie really shines in this song. As I understood, this is a child-song, but the instrumentation is unbelievable. Drummer Szűcs József delivers fusion/prog rhythm changes,complexity and a great sound! Tasty moog solo and a QUEEN influenced multiple voiced guitar solo. Just lovely! I could consider the ending of "Nap" as a tribute to CHRIS SQUIRE... ending and album with a long distorted bass guitar solo accompanied by mellotron choirs... just amazing! "Ugy bocsass el" is a haunting acoustic ballad with flute, acoustic guitar and string quartet. You'll need this song to chill after all the intensive music found on this record. Heavenly vocal performance of Szirtes Edina Mókus. Conclusion. This album sounds great and the 45 minutes long material reminded me of those vinyl LP days. Not just for audiophiles, but for symphonic prog fans this album is a must. Highly recommended prog! I must say that this is the best material I've heard from this Romanian/Hungarian band. Welcome back to prog, Yesterdays! Five strong stars from me!